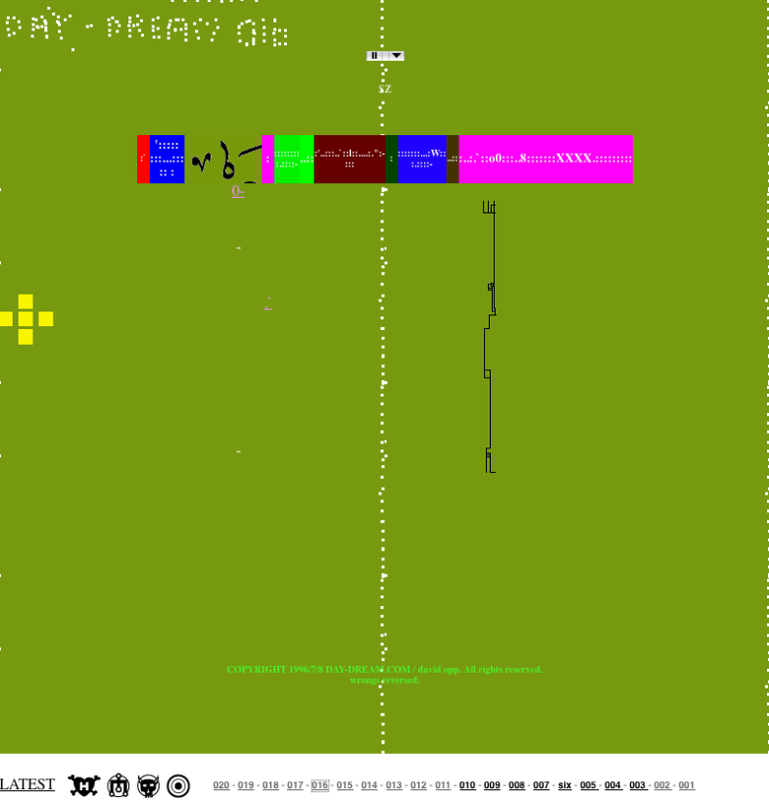 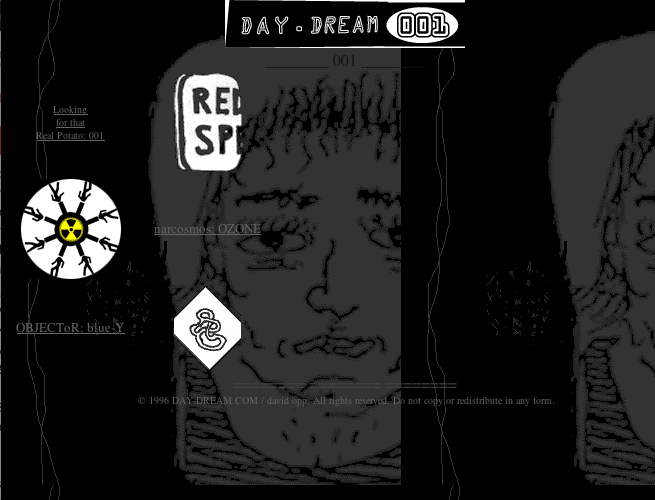 I registered the domain name DAY-DREAM.com circa 1995 for the day-dream zine, this zine included 20 uploaded issues [001-0xx] and was the home for my experiments with interactive media, it was added to the SF MoMA permanent collection after issue 016 was launched. 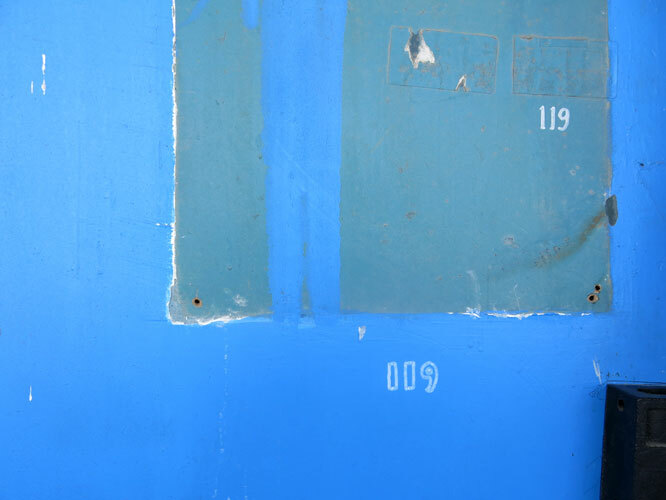 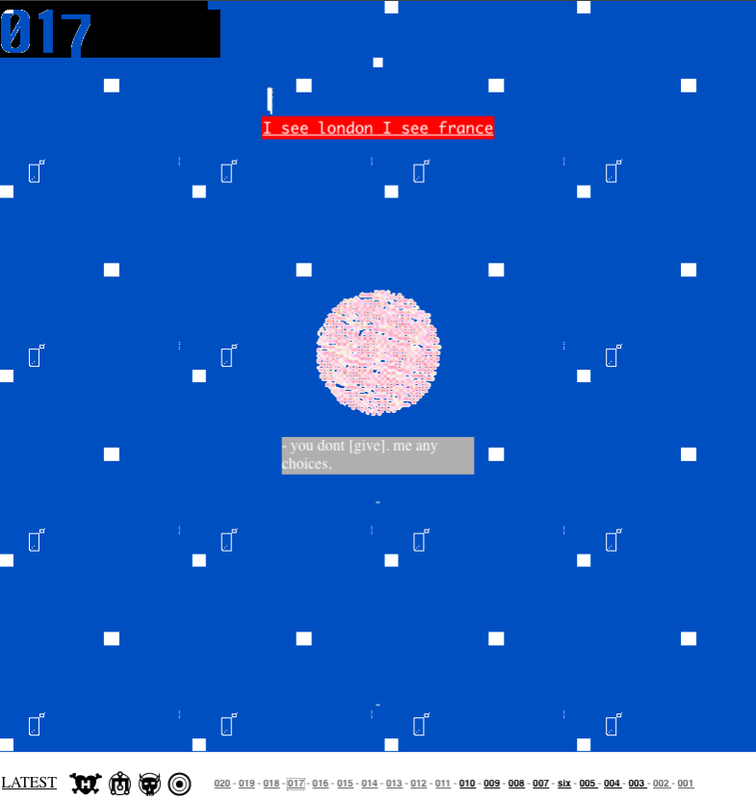 most issues also included interactive story telling projects by Noah Stollman. 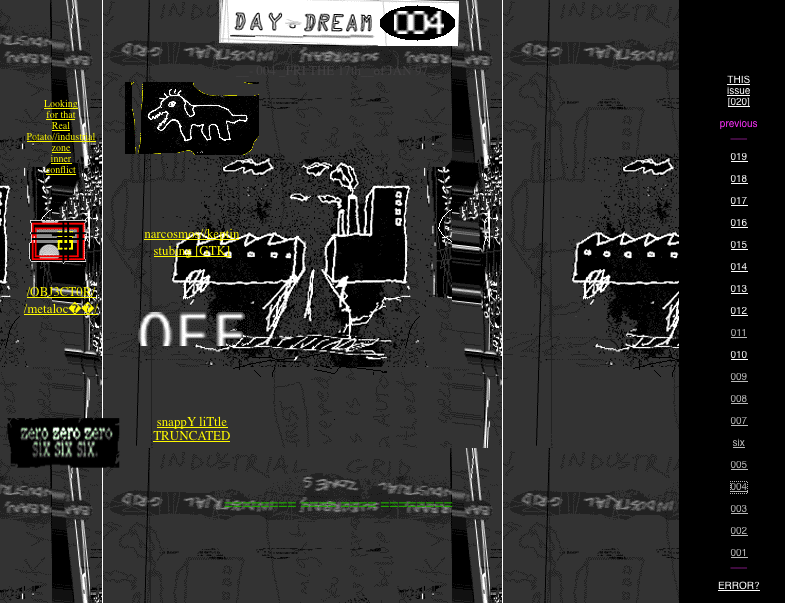 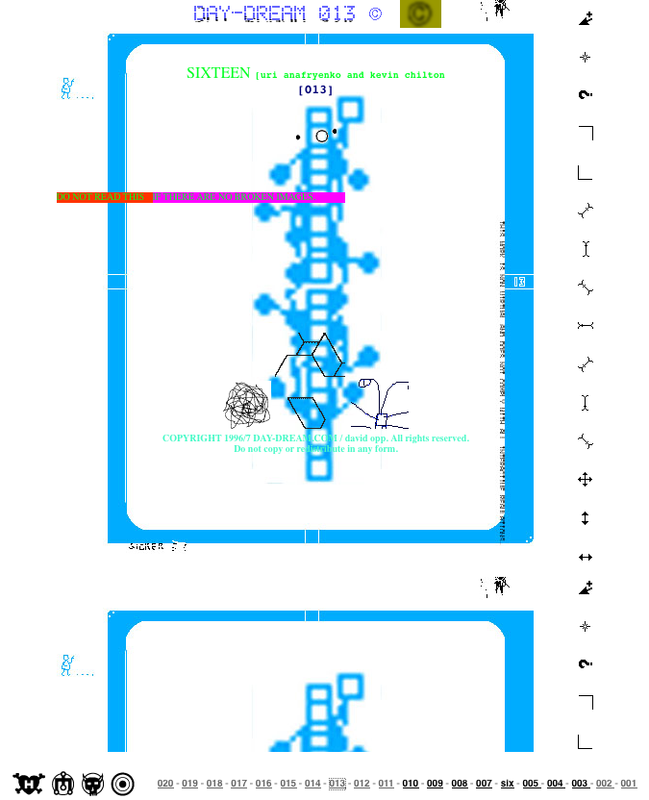 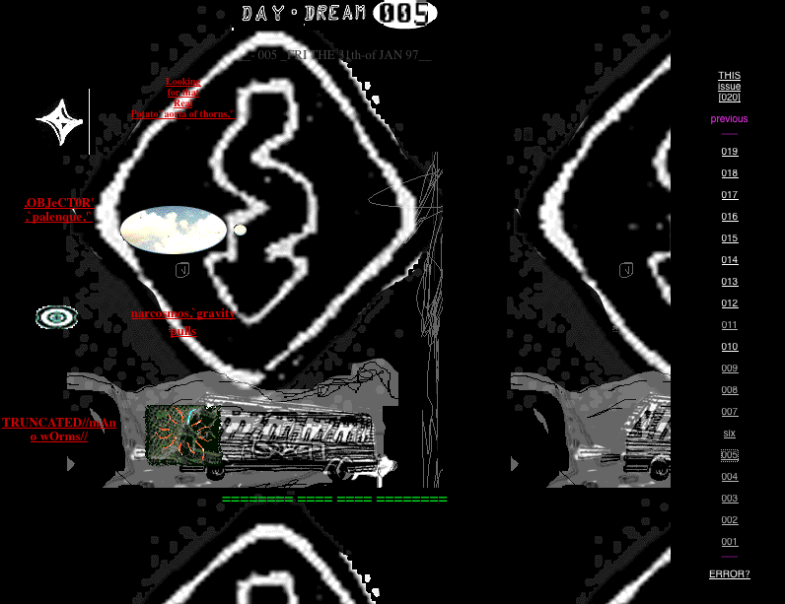 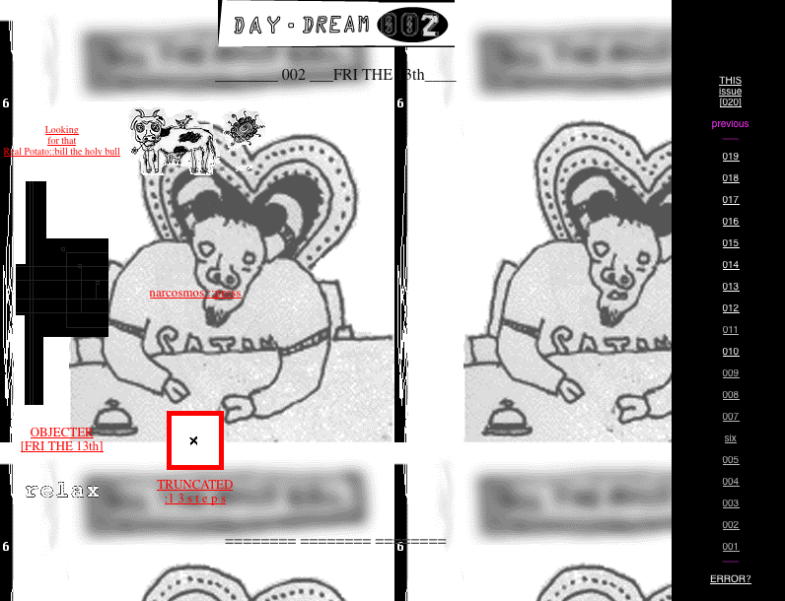 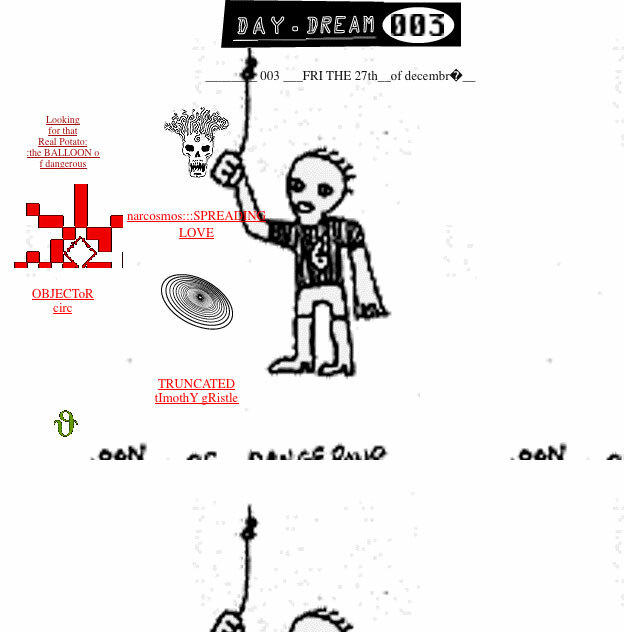 The screenshots below [zine cover pages] were created between 1996 & 2000.
the old day-dream.com site is still here.